Will Disputes can tear a family apart! 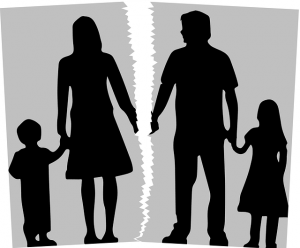 In the recent decision of the New South Wales Supreme Court in Smith v Smith  demonstrates the devastating and long lasting effect that Will disputes can have on family relationships. The opening statement of the Judge when handing down the decision highlights this impact, with the Judge stating that the case provided another example of the high level of emotion that is generated, in relation to the distribution of the property of a parent. The judge also noted that despite numerous opportunities to resolve the issue without a court hearing, the matter went to a court hearing with a combined estimate of costs of $125,000. Generally, these costs are paid out of the deceased Estate and so reduce the amount of money available to beneficiaries. The deceased died in 2014 leaving three children. Mark, born in 1970, married with two children. Leanne, born in 1973, single with no children. Lucas, born in 1977, married with one child and a step-daughter. The deceased’s Estate was valued at $700,000 and in his last Will he left $30,000 to Mark, $30,000 to Leanne and $30,000 to Lucas’ step-daughter. The remainder of the Estate was left to his son Lucas and Mark’s two children in equal shares. Mark and Leanne made family provision claims on the basis that the deceased had not made adequate provision for their proper maintenance, education, and advancement in life. Lucas argued that Mark and Leanne were not entitled to a greater distribution of the deceased’s Estate as the relationship they both had with the deceased was estranged. The deceased had not left any statement about his reasons for leaving Mark and Leanne a minimal distribution from his Estate. The Court found that the estrangement between the deceased and Mark and Leanne did not disentitle them to additional provision from the deceased’s Estate, as their conduct was not callous or unfeeling and they did not demonstrate ill-temper or violence towards the deceased. Although Mark and Leanne were successful, it is easy to imagine that detrimental cost this success had on the family relationships between the deceased’s children and grandchildren. In addition, the deceased died in 2014 and the Court judgement was handed down nearly two years later, which is a long period of time for such an emotionally draining conflict. If you are drafting your Will, you need to seek expert legal advice to ensure that your Estate is not subject to a family provision claim and all the financial and non-financial impacts this can have on your loved ones. Graeme Heckenberg is an expert Wills & Estates lawyer and will be able to guide and advise you on making or defending Family Provision Claims. If you are living on the Northern Beaches and surrounding Peninsula and need expert advice phone The Northern Beaches Lawyer today for an appointment on 9221 0341.